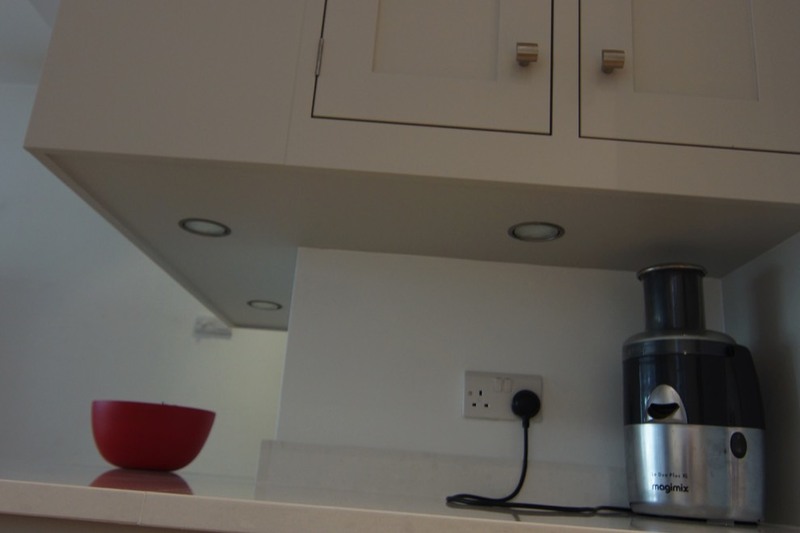 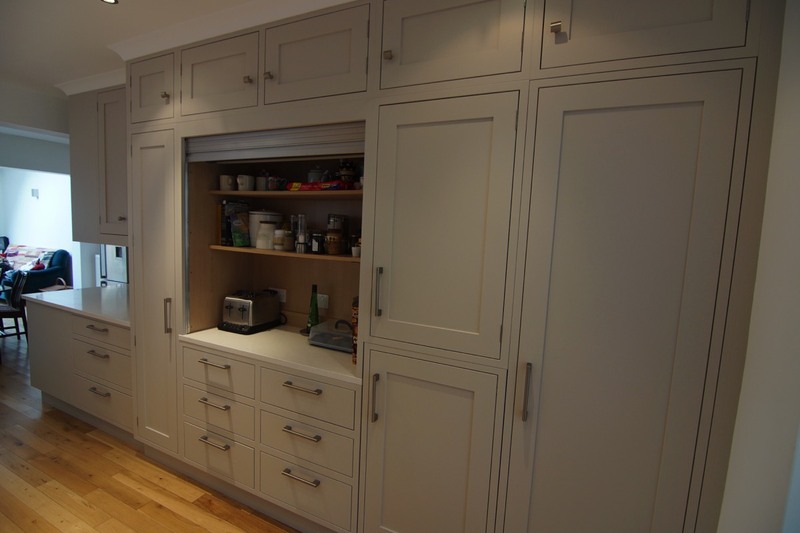 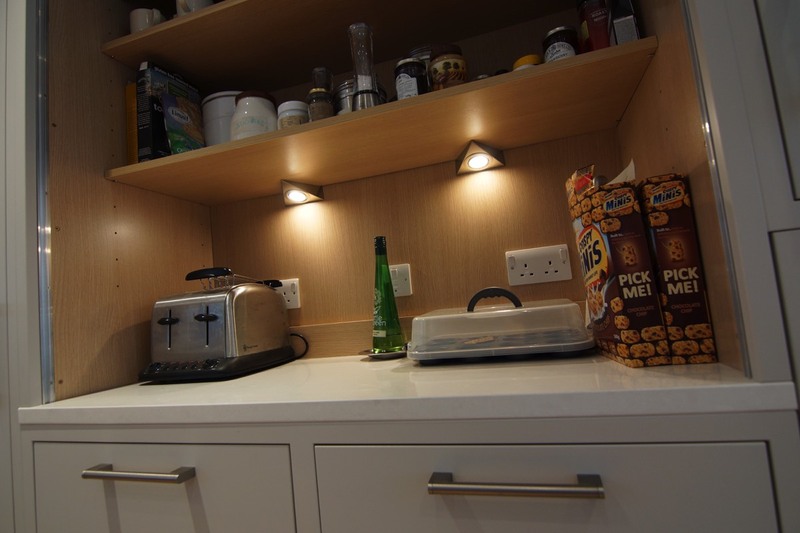 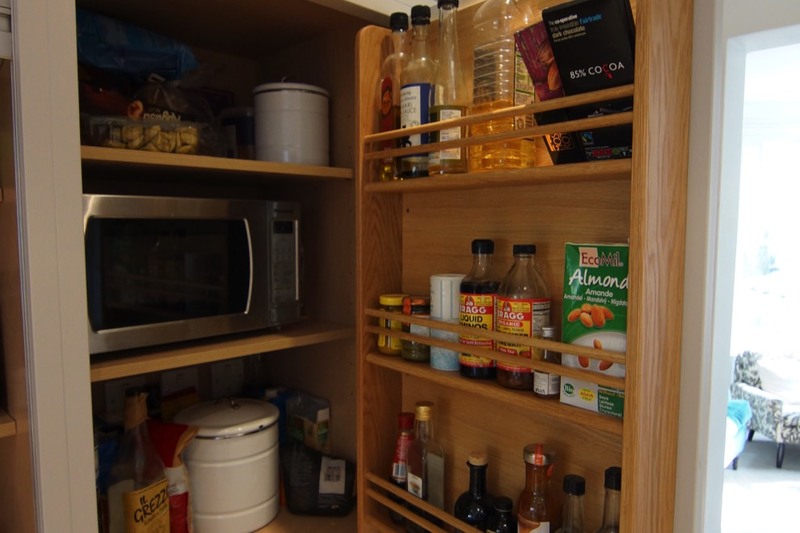 The clients of this house in Teddington wanted an area which small appliances and food could be stored and used but hidden away quickly. 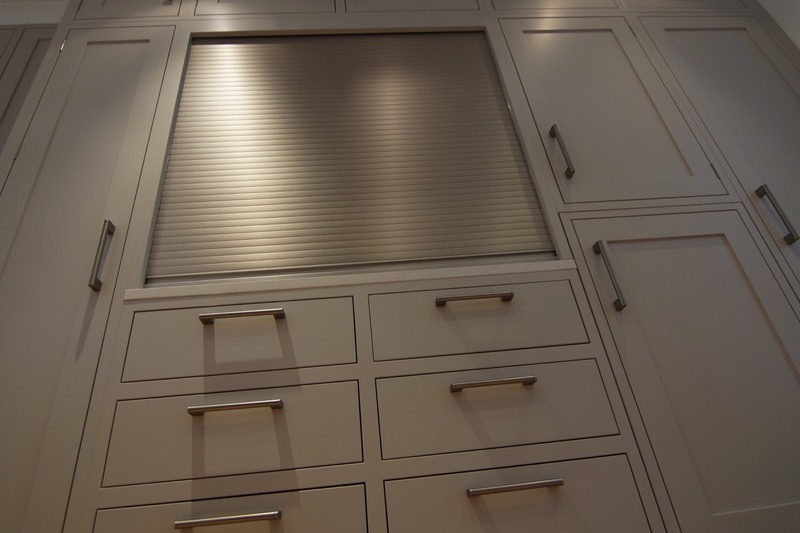 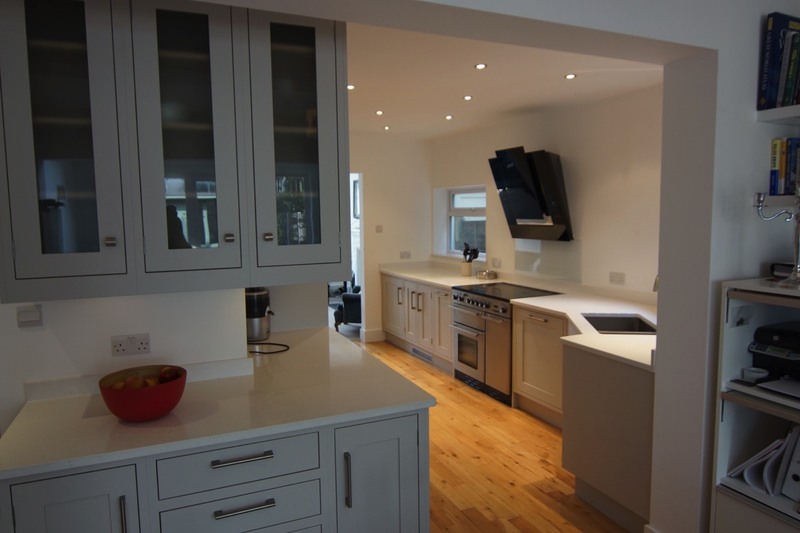 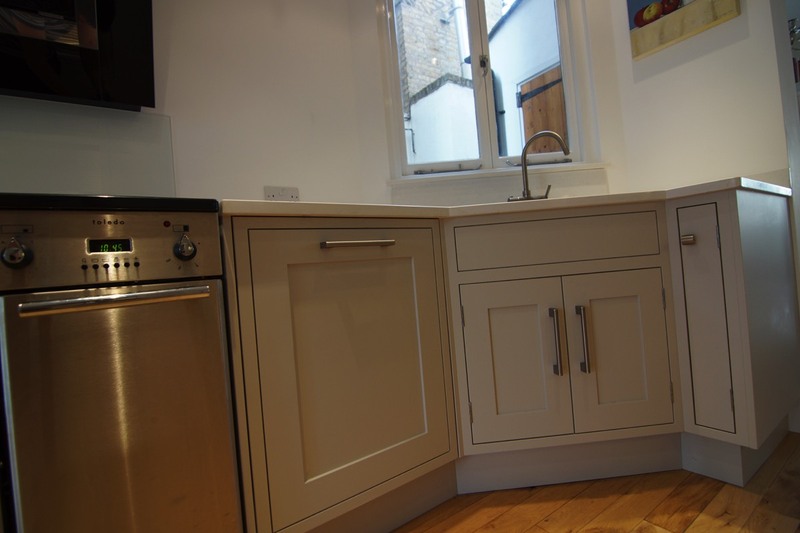 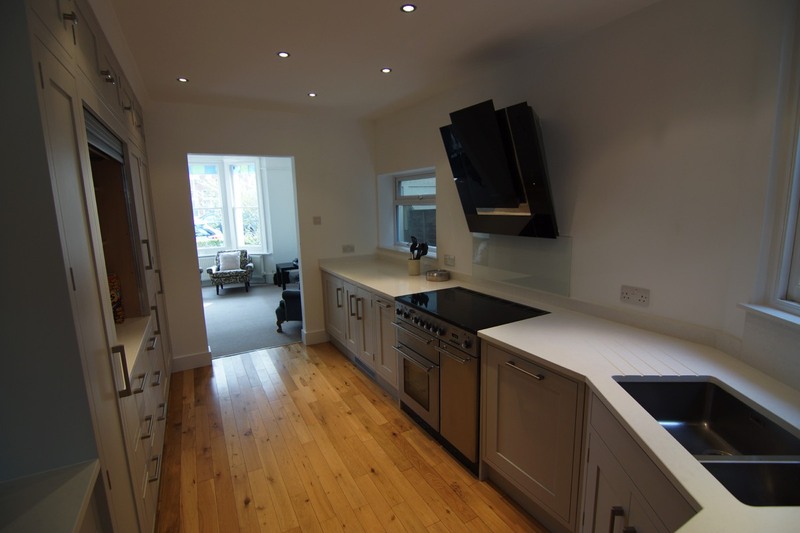 Teddington kitchens designed this kitchen with a tambour door cabinet with a worktop area inside with drawers below. 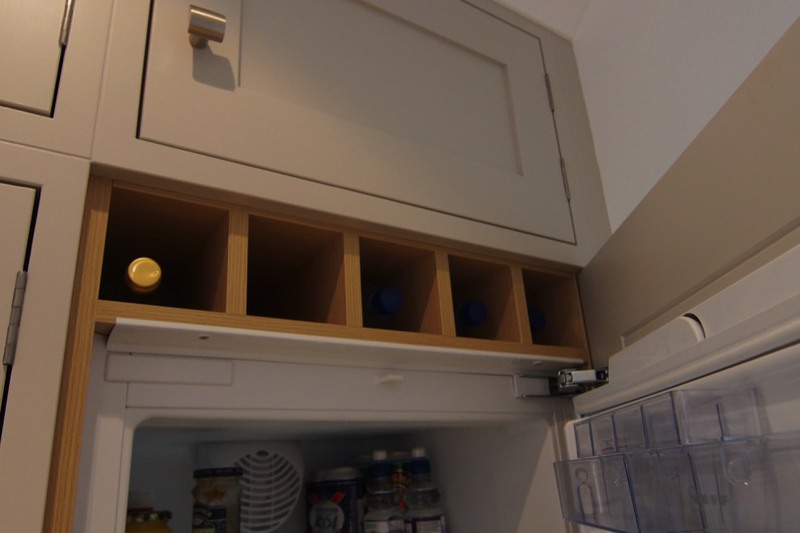 To enable the door configuration to be symmetrical the fridge door had to be taller that the integrator fridge so we built a small internal wine rack to take up the space. 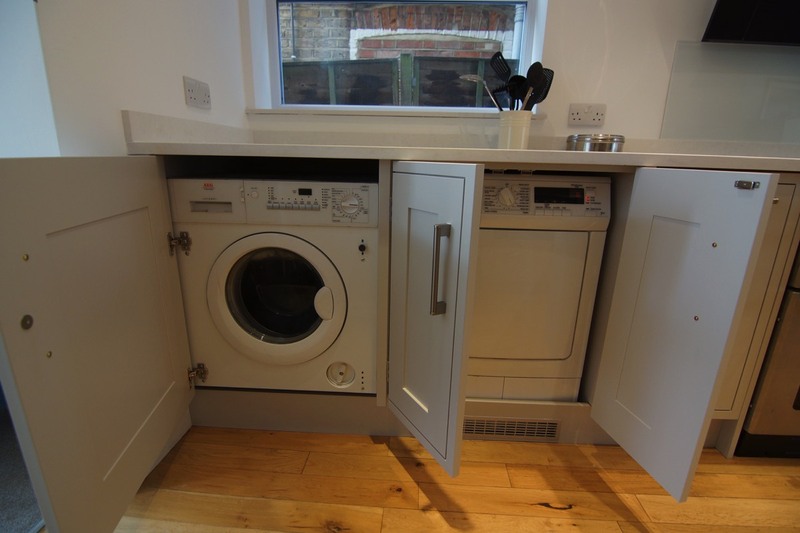 There is also a free standing tumble dryer and washing machine behind doors to the left of the range cooker which has very modern Elica glass extracter.